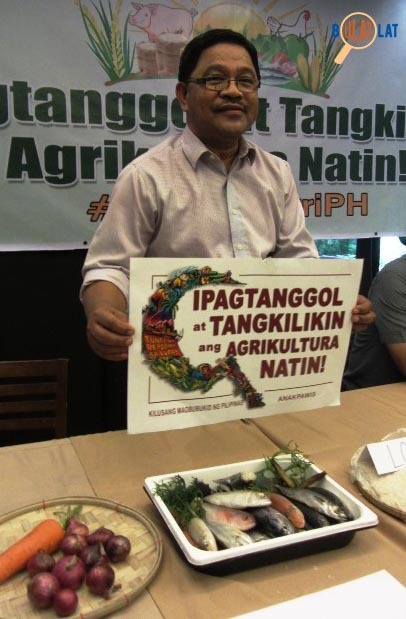 MANILA — The declared policy of the newly signed Republic Act (RA) 11203 or Rice Tariffication Law, now with issued implementing rules and regulations, is to ensure food security. Ironically, it is the very same principle that the law is putting at risk. Food security is a precondition for economic development. A hungry population is a weak, unhealthy, and disoriented labor force, simply put. 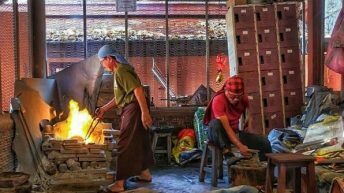 A state that has secured the dietary needs and food preferences for an active and healthy population is free to plan the economy to explore a wider range of products for manufacturing. For instance, many developed states, especially after a war period, had prioritized building their food stocks over building roads and bridges, and it made a lot of development sense. Food security is what the Rice Tariffication Law jeopardizes. The Philippines has now embarked on imports liberalization of its staple – a dangerous path not just for the country’s food security, but more importantly, for that elusive economic development. The global rice market is narrow. Only 9.7% of global production ended up in the global market in 2018. Contrary to what president Duterte and his economic managers are saying that Filipinos should no longer aspire for self-sufficiency, the rice-producing world is consuming more than 90% of the rice produced where it is produced. Even the country’s self-sufficiency ratio in 2017 was 93 percent. It is inconceivable therefore that the government is declaring that rice-producing Philippines, whose average self-sufficiency ratio in the last 30 years is 91%, should now simply rely on importation. But economic managers pushing for import reliance contest the lone capacity of local production to feed the nation. The problem, however, is that not even government statistics on average rice consumption is accurate and updated. 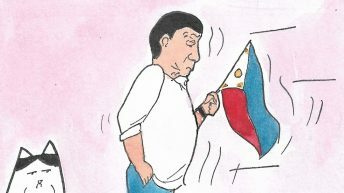 Yet, despite lack of wisdom, the Duterte government has painted a picture that the country can never be rice self-sufficient. 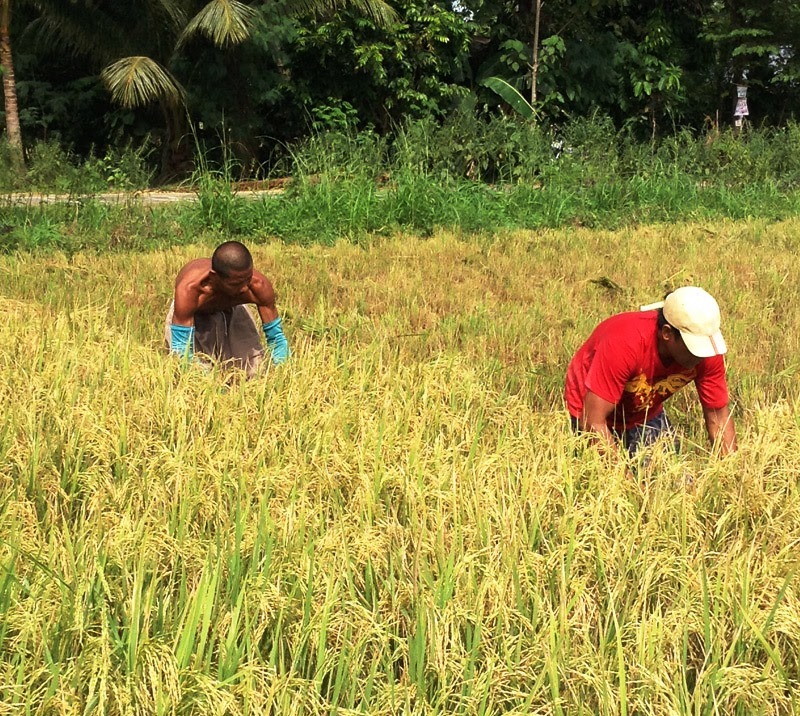 It has been the mantra of the Philippine government to open up the local rice sector since the country’s accession to the multilateral trading system of the World Trade Organization (WTO) in 1995. The average annual self-sufficiency ratio in the pre-WTO years of 1991-1994 was 99.4%, which shrank to 89% from 1995 to 2016, only because of the policy of agricultural trade liberalization. Still, it is the Duterte government’s thrust to widen the share of imports instead of strengthening local production. The defeatist attitude negates the principle of availability of food at all times. Indeed, global rice production has increased since the 2008 crisis, reaching record volume of 495 million tons (milled basis) and exports of unprecedented 48 million tons in 2018. But the United States Department of Agriculture (USDA) is projecting a shake-up in the Asian rice market in 2019. Carry-over stocks of Thailand are the lowest in a decade due to the depletion of government stocks. The Thai baht has also strengthened over the last months, making Thai rice prices more expensive. On the other hand, Vietnam, the Philippines’ number one supplier, will be more competitive in the European market as Burma and Cambodia lose their duty-free advantage in the European market once afforded by the Everything But Arms agreement. China meanwhile, although a major importer in the last eight years, is seen rising as a major exporter. The Philippine government is setting its sights on this volatile market. Relying on importation, the Philippine economy as an importer of a wide variety of products is showing innate lack of capacity. The peso is weakest in over a decade and currently among the weakest currencies in Asia. The country’s dollar reserves is also lowest in a decade, reaching only 6.9 months’ worth of imports. The government also argues that increased importation of cheaper global rice will benefit Filipino consumers with lower local price. This, however, is misinformed on two accounts – one, global rice is not necessarily cheaper (this should be self-explanatory by the narrowness of the market alone), and two, the local market remains dominated by a trading cartel that can impose a higher mark-up depending on the weakness of local production and other supply factors. Despite fluctuations and recent global trends showing that export prices are going down, global rice prices have actually increased since 2016. The Thai 5% broken rice for instance has become more expensive from US$396 per ton in 2016 to US$405 in March 2019. Same with Thai 25% broken rice – from US$385 to US$398 per ton in the same period. Viet 5% and 25% broken rice export prices (at US$347 and US$328 per ton, respectively) have basically remained the same comparing 2016 and March 2019 prices, but that is after fluctuating wildly to as high as US$450 per ton in the first half of 2018. In February this year, the landed cost of Thai rice with applied tariff, across all qualities (i.e. 25%, 15%, 10%, 5% brokens), ranged from Php36.73 to Php37.29 per kilo. The wholesale prices on the fourth week of that month were Php37.61 per kilo for the regular milled rice (RMR) and Php41.13 per kilo for the well milled rice (WMR). This shows a small difference between the landed cost and the local wholesale price. On the same week, retail prices were Php40.65 per kilo for RMR and Php44.58 per kilo for WMR, or a difference of only Php3.05 for RMR and Php3.45 for WMR. Note that the wholesale and retail prices cannot be disaggregated as to whether they are imported or local. But the point is that the landed cost of imported rice is not dramatically lower. The Philippine Institute for Development Studies (PIDS) extrapolates the landed cost of rice by 1.2 times to come up with its retail price, which if applied to the February 2019 landed cost would yield a still more expensive imported rice ranging from Php44.08 to Php44.75 per kilo. What is further inconceivable is for government to insist that cheap imported rice will pull down local prices. From 1995 to 2010, based on National Food Authority (NFA) data, the landed cost and wholesale prices of imported rice were higher than the wholesale and retail prices of local rice. From 2011, when global production picked up, to the last available data in August 2018, prices of domestic rice have been markedly higher than prices of imported rice. Indeed global rice has become cheaper due to increased production and exports after the 2008 crisis, but this did not translate to cheaper local prices. 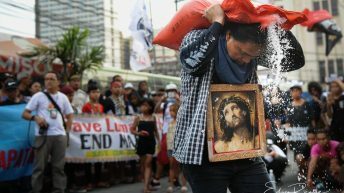 In fact what the Philippine market had from 2011 to 2014 was record increase in smuggled rice and escalating rice prices at an annual average of Php1.20 increase per kilo. This only indicates clearly how the local rice cartel can make super-profits from favorable global market trends. 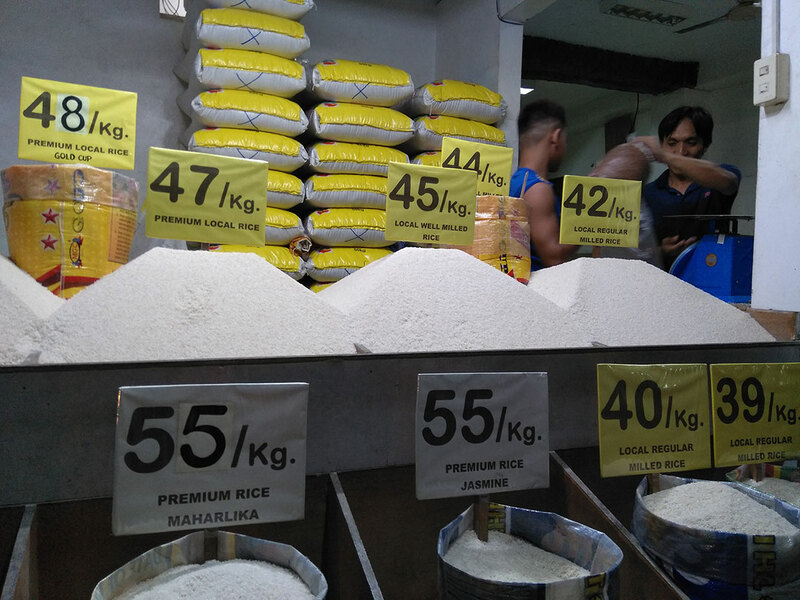 Recent Philippine Statistics Authority (PSA) data show a continuous weekly drop in rice prices starting on the first week of February and lower wholesale prices of WMR and RMR by the fourth week of March relative to their prices a year ago. But retail prices are still higher than in the previous year. Yet, farmgate price has continuously declined in the same period, reaching Php18.87 per kilo, or a Php1.59 drop from March 2018. Affordability is a dimension of accessibility, which the Rice Tariffication Law has wrongly assumed. 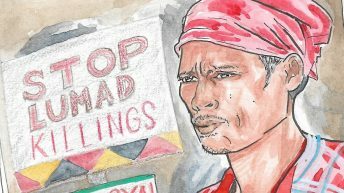 What is worse is that the law imperils the more important dimension of accessibility – which is people having adequate incomes and livelihood – by subjecting the Filipino rice farmers to undue competition with subsidized imports. As it is right now, the Philippine economy registers the lowest number of jobs created in over 60 years under nine administrations. In agriculture alone, 1.1 million jobs were lost in 2018 – unparalleled by any administration. Wages have remained stagnant, with the nationwide average daily basic pay increasing by only 6.8% in real terms in the last 12 years. 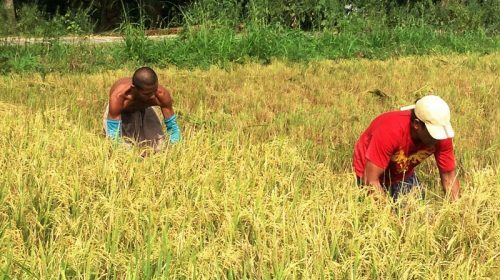 The Rice Tariffication Law will worsen the jobs crisis and poverty. RA 11203 reduces NFA’s role from market stabilization (i.e. procuring palay from farmers and selling rice to consumers) to simply maintaining buffer stock. 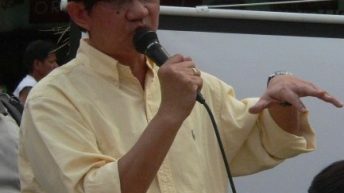 The inane idea however is to keep buffer stock for emergencies, whether caused by natural hazards or economic ‘shocks’ (which include otherwise normal occurrences in the Philippine crisis such as inflation, rising unemployment or peso depreciation), while reducing the agency’s power to procure locally. Nothing replaces the role of stable local production in moderating the impact of emergencies. 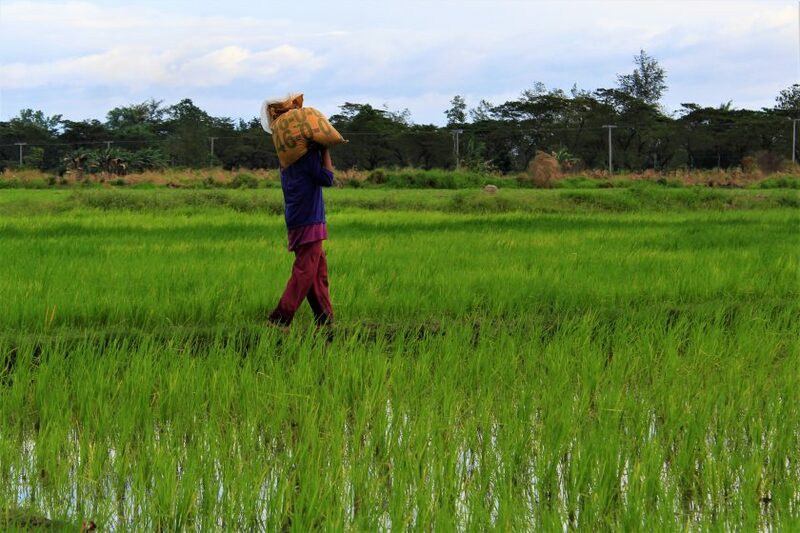 But the Duterte government is hyping the creation of an annual Php10-billion Rice Competitiveness Enhancement Fund (RCEF) from the projected tariff revenues from liberalizing rice imports. In current dollar terms, this would mean US$190 million, which is trivial if compared with the subsidies given by other states to their rice farmers – US$1 billion support by Vietnam and US$7 billion by Thailand. In 2017, the Indian government provided support price of INR1,550 per quintal for common variety, while the average cost of production was INR1,117 per quintal. 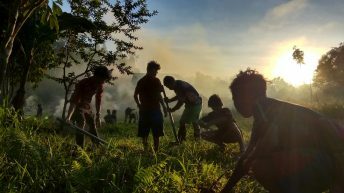 Philippine agriculture meanwhile is allocated a mere 1.3% of the delayed 2019 national budget, or a projected cut of 1.8% or Php900 million from the previous year’s agriculture budget. After the World Food Summit in 1996, the ethical and human rights dimensions of food security have come into focus as the UN formally adopted the Right to Adequate Food. But neoliberal apologists and policymakers, such as the Duterte government’s economic team, have gone around the UN definition of food security to further justify open trading system and liberalization of traditional sectors such as agriculture. Neoliberal policies, they argue, can bring about availability, cheap products and steady supply. These however clearly violate the people’s right to food, their right to access resources in order to produce food such as having free land to till and state support as well as their right to produce food of their own choice and decisions. 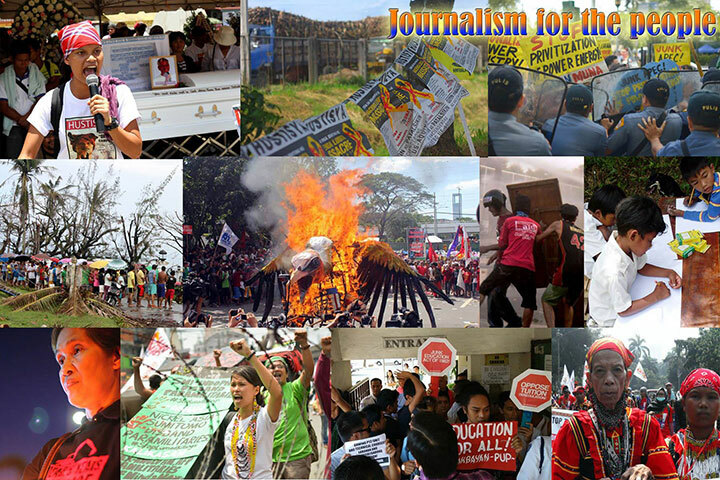 *Rosario Bella Guzman is the Executive Editor and Research Head of IBON Foundation. IBON Foundation, Inc. is an independent development institution established in 1978 that provides research, education, publications, information work and advocacy support on socioeconomic issues.